july is probably my favorite month of the year. i’m pretty sure i say that about every month, but this time i mean it! having grown up in canada, we get to celebrate canada day on july 1st with some things that are reminiscent of my childhood :: Nanaimo bars (a coconut, custard, and chocolate concoction that dreamily melts in your mouth), our version of big turk candy bars (we can’t find the actual big turk bars here in the states, but this is a fun and easy way to try to recreate them! ), and of course poutine (french fries with mozzarella cheese curds, all dripping with gravy…delicious!). and just a few days after that we’ve got the 4th of july, which of course means lots of fireworks, salads (like classic potato salad, chicken pasta salad, and southwestern couscous salad) and yummy ice cream treats like homemade oreo ice cream cake. we light some sparklers, play in the water, and eat an entire watermelon. and after all of these fun holidays, it’s still summer after all so we’ve got our summer bucket list to work on. 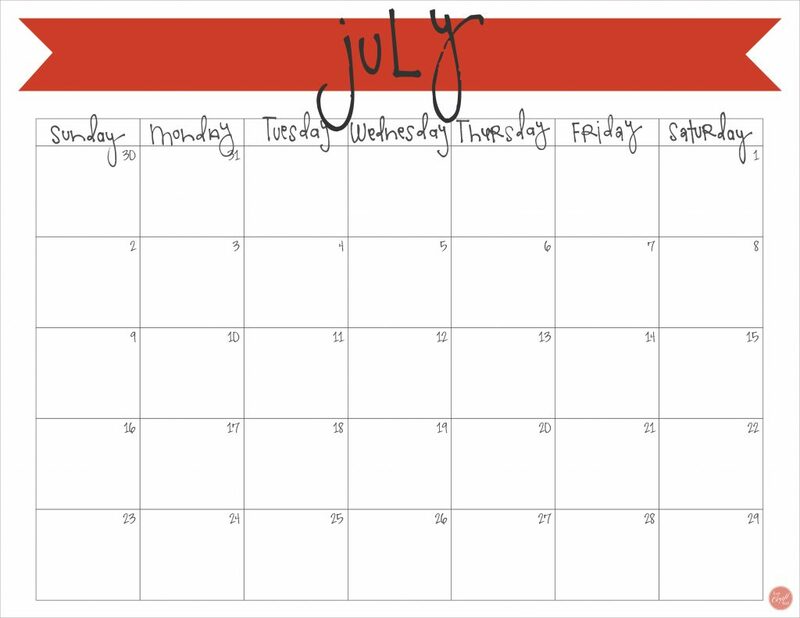 that’s why this free printable july calendar is perfect for me and for you. if you’re like me, you’ve got lots of sunny summer days to fill with fun for your kids, or even if you’re not checking things off a summer bucket list, i’m sure you’ve got lots of other things to fill your days, or menus to plan, etc. 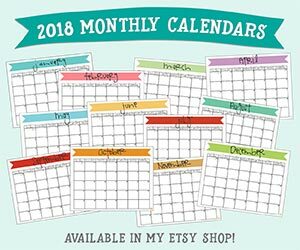 this calendar if great for whatever you’ve got going on. you can download this free 8.5″x11″ july 2017 calendar below. it’s easy, just click on the link and print! i like to put mine on our fridge so everyone can see what’s going on, but you could put in a planner or binder too. either way, you’ll feel so prepared and organized for the month ahead! 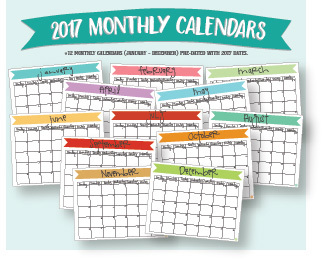 click here to download your free July 2017 monthly calendar printable! want more of these banner calendars? you can download the entire year! just go to my etsy shop, livecrafteatprint, and click on the 2017 monthly calendars listing. boom. you can organize your whole year all at once – you don’t have to wait! « chocolate caramel poke cake :: only 4 ingredients!